Transformers: Fall of Cybertron takes place as a direct sequel to Transformers: War for Cybertron. In Fall of Cybertron, the Autobots know that Cybertron is lost and have decided to leave the planet in search of another world on which they can live. There are problems along the way, as is expected. The Decepticons, lead by Megatron, want to destroy all the Autobots in an attempt to fully win the war before escaping the planet themselves. Their goal is to leave no way for the Autobots to escape and kill as many of them as they can. One major problem is that the planet is becoming depleted of Energon, the life force of the robotic race. Without Energon neither the Autobots or the Decepticons can live, nor can they fuel their ships and vehicles which leads them to another problem. Without a substantial amount of Energon the Autobots cannot power the Ark, their main spacecraft used for the escape. The Decepticons are trying to find the Energon first and destroy the Ark before making their escape, and the Autobots wish only to find the Energon they need and leave Cybertron. The battle lives on while the Autobots, lead by Optimus Prime, must find a way to escape Cyberton before being completely annihilated by the Decepticons. Fall of Cybertron is a third-person shooter, it also falls into the action genre. The gameplay is what is to be expected from a game in those genres, but it’s not your typical shooter. The game features an upgrade system for weapons as well as purchase perks and utility items. As you defeat enemies you gain XP in the form of shards and use this XP at Teletraan store. The upgrades to weapons includes recoil reduction, larger clip size, heavier impact, etc. depending on the weapon. There is a large variety of weapons available ranging from shotguns, to riot cannons, to assault rifles. At any given time a character may hold a standard weapon and a heavy weapon. Players can switch weapons at any given time, there are weapons scattered throughout the game as well as pods in which players can pay XP to gain a random weapon. Teletraan stores can also supply a character with utility and assault T.E.C.H. such as a shield that can be dropped down in front of the character to reduce damage or a combat drone that will aid in attacking enemies. There are varied utilities and they can be used to assist a player if they are stuck or run across a battle that is too tough. Perks can also be purchased at these stores and these include health upgrades, armor upgrades, vehicle form damage increase, movement speed upgrades and more. Each character has the ability to transform, opening up a new vein of gameplay. Characters can either be played in their normal form or their vehicle form and each has it’s pros and cons. Throughout the campaign, players with alternate between Autobot characters and story and Decepticon characters and story. This means the player can see both sides of the battle and experience the unique abilities of different characters. The game itself is tough, even on lower difficulties. Don’t expect an easy battle when on normal and hard difficulties, but the challenge is a good one and is very rewarding. Nothing is impossible, but it can get sticky in certain areas of the campaign. Fall of Cybertron features stunning visual and audio effects. Everything from the way the characters transform to the music is done perfectly. The graphics in Fall of Cybertron are not too high end, but not terrible either. The game is less about looks and more about feel, though. The gameplay and transitions between characters and major plot points are smooth. The audio effects obviously include unique sounds when characters transform in and out of their vehicle mode. Also, the music throughout the game is extremely well done and fits right in with the sequences of events. The instrumental pieces are memorable and inspire emotional investment in the action that goes deeper than character interest. 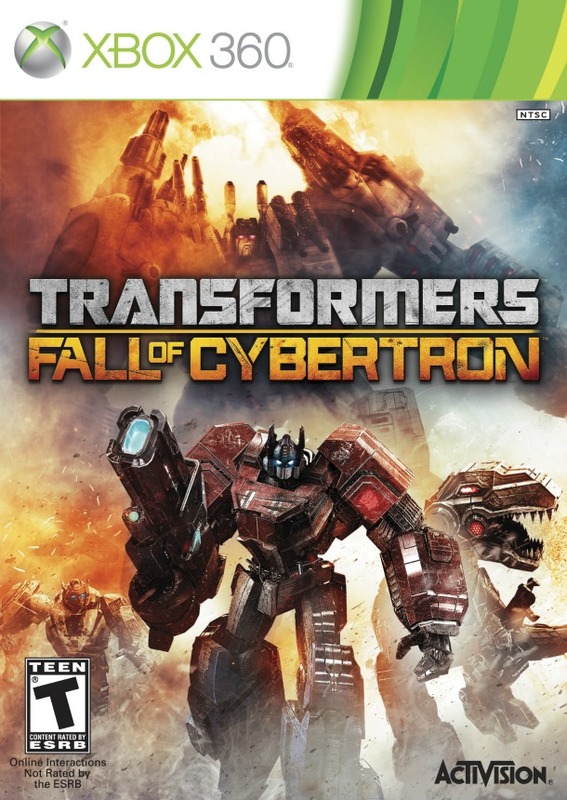 Fall of Cybertron as features a cast of highly talented voice acting including work done by Nolan North, Troy Baker, Peter Cullen, and Steve Blum. There is more to this game that simply shooting and fighting. Throughout the game a player may find and pick up audio logs and blueprints as well as find secret rooms full of weapons and XP. These touches are interesting and give the game more substance and a replay value. Transformers: Fall of Cybertron is more than meets the eye! The storyline is great and all the characters we love and hate are present, making it a truly awesome title. The inclusion of Insecticons and Dinobots was a great touch that added a new feeling to specific sequences. I would recommend this game, it’s was really a great purchase and a worthwhile game to play. The game also features multiplayer and a moderate replay value, so if you are looking for a fun and awesome game to play I suggest you pick this one up. Next Next post: BioWare Founders Retire – What’s Next For BioWare? Indeed it is. Very cool game. I’m glad I bought it!